If you needed to quickly sum up the euphoric, good-hearted, endlessly enthusiastic vibe of TV talk show hosts Desus Nice and The Kid Mero in a single fact, it’d be hard to beat this one: The duo announced the very first guest for their new Showtime series today, and it’s Alexandria Ocasio-Cortez. The freshman Rep. broke the news on Twitter today, mocking the avalanche of Democratic “I choose to run” announcements that are already starting to overwhelm our souls as the looming shadow of the 2020 election begins to creep across America. 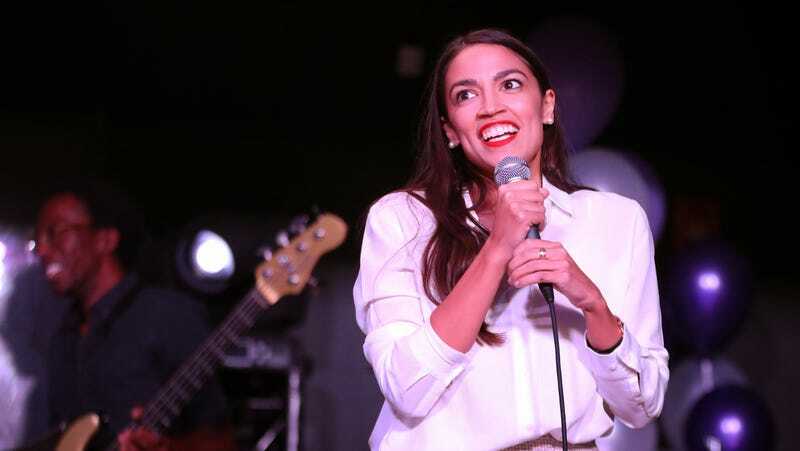 Ocasio-Cortez’s passion, wit, Alan Moore-quoting skills, and social media acumen have made her a delightful respite from the just-starting presidential slog, and it’s hard to imagine a better fit to interview her than Desus and Mero, who, from their podcast, to their Vice show, to their upcoming weekly Showtime series, have cut a unique, winning, frequently rum-soaked path for themselves across the pop-culture landscape. Desus & Mero debuts on Showtime on Thursday, February 21.